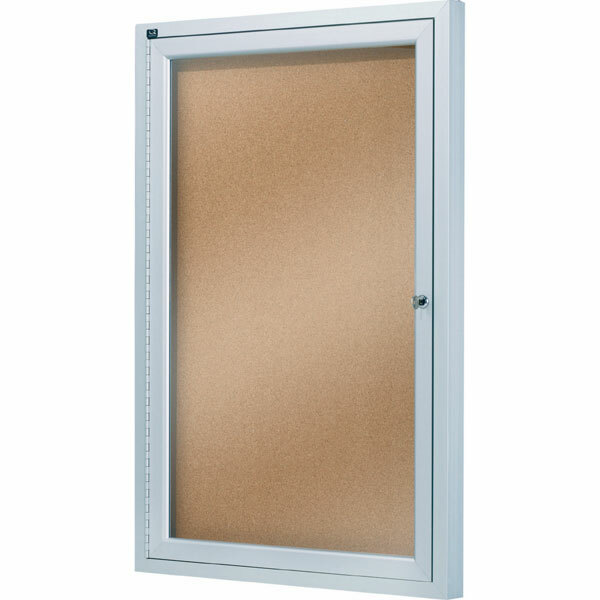 Extend the life of your signs by hanging them inside Quartet enclosed bulletin boards. � Durable natural cork enclosed bulletin board. � High density fibreboard backing secures documents tight. � Self healing surface will not fade or crumble. 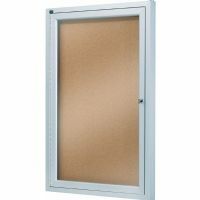 � Stylish satin finished aluminium cabinet provides a sturdy frame. � Shatterproof acrylic doors are protective and crystal clear. � Doors lock to protect postings and makes updating easy. � Perfect for high traffic indoor areas such as lunch rooms. � Includes wall mounting kit and 1 key per lock. � Post up to 3 lanscape A4 sheets.